IBA's Canton Tower is a superbly futuristic building that currently wears the crown of China's tallest tower. Engineered by Arup, the twisting skyscraper represents a culmination of architectural beauty and technical brilliance. 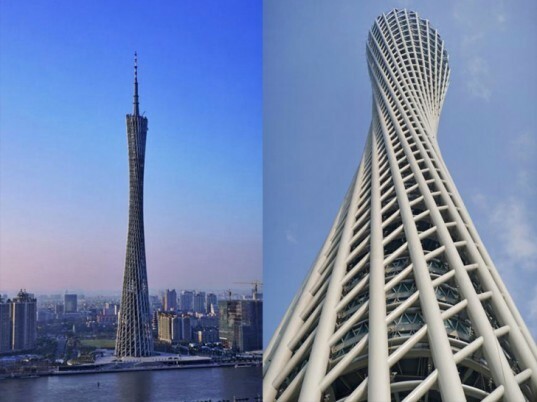 Situated on the edge of the Pearl river, this structure spirals up to 600 meters high, and its perfect hourglass shape attracts visitors from all over the world to the city of Guangzhou. Named the tallest building in China, the Canton Tower consists of two elliptical shapes that twist 45° relative to one another, creating a tapered waist about 22 meters wide at its narrowest. Arup’s structural engineers used parametric associative software to generate and refine the geometry and they linked this data to analytical and drafting software. The final structure is both simple and complex – it is essentially a concrete core wrapped in a triangular lattice composed of structural steel, concrete-filled columns, rings and diagonal tubes. 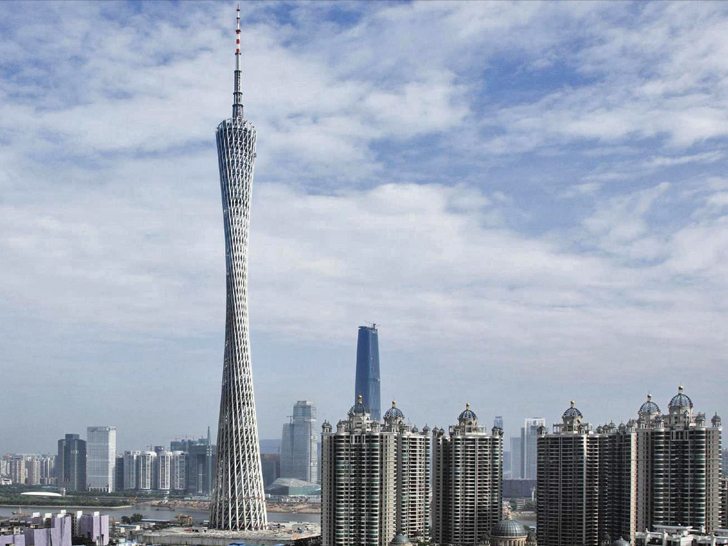 The tower is designed specifically to withstand the typhoon climate of Guangzhou, which is sometimes assailed by super fast winds. The interiors are as strikingly futuristic as the building. We love the building’s judicious use of natural lighting, and it features outdoor gardens set within the structure. A large open-air observation landscape provides magnificent views over the city of Guangzhou. With its stature and elegant design the Canton Tower is well poised to become one of the major attractions in China as well as the world. Named the tallest building in China, the Canton Tower consists of two elliptical shapes that twist 45° relative to one another, creating a tapered waist about 22 meters wide at its narrowest. Arup's structural engineers used parametric associative software to generate and refine the geometry and they linked this data to analytical and drafting software. The tower is designed specifically to withstand the typhoon climate of Guangzhou, which is sometimes assailed by super fast winds. The interiors are as strikingly futuristic as the building. We love the building's judicious use of natural lighting, and it features outdoor gardens set within the structure. The final structure is both simple and complex - it is essentially a concrete core wrapped in a triangular lattice composed of structural steel, concrete-filled columns, rings and diagonal tubes. After sunset the tower appears as a luminous icon on Guangzhou’s skyline. LED fixtures which are integrated into the structure illuminate from within. The Lighting Concept has been designed by Arup's Lighting Team.